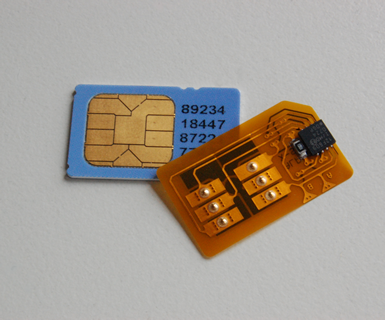 SIM PIG is an innovative little chip that frees your SIM card to work in the vast majority of mobile phones. SIM PIG SIMply PIGgy backs onto your existing SIM card and bypasses the Network lock on your mobile handset meaning you can use any SIM from any Network in virtually any handset. The very latest 3G Phones and devices can be very difficult and expensive to unlock. SIM PIG is the 10 second solution without invalidating any warranty on your precious handset. Fitting SIM PIG is quick and simple. Simply Piggyback SIM PIG to your SIM card and insert into your locked mobile phone and start talking. SIM PIG is compatible with most mobile phones including the latest Nokia E and N Series and the top of the range Sony Ericssons. SIM PIG allows full normal functionality on your phone and does not affect its warranty. Please note that this PIG has yet to be "trained" to unlock Nokia 6230i, 6610i and Sony Ericsson K810i. i.e. it can't unlock these handsets yet.